A big part of my job is letting you guys know about new products that are coming on the market, and it's really easy to get excited about them at first. I truly get giddy over new makeup launches and start planning in my head what I'm going to buy, but then I take a step back and try to be more thoughtful about my purchases. I start to realize that I don't need to buy everything...even as a beauty blogger. There are just way too many companies releasing way too many products and sometimes it gets overwhelming. A few YouTubers that I follow (I think it actually started with Kimberly Clark) have been doing Anti-Hauls and I think it's an awesome idea! So in this post, I'll go through all of the products I'm not buying this month. This isn't meant to be a negative post and I'm not slamming these products or saying that they're bad in any way...they're just something that I'm not personally into for one reason or another. 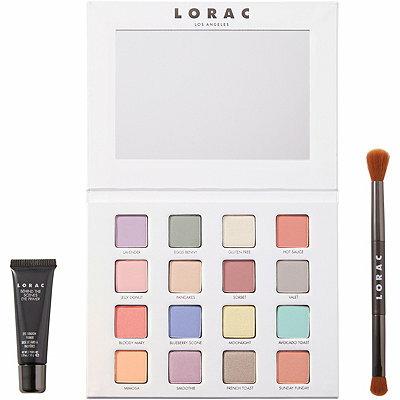 I'm a huge fan of Lorac's PRO eyeshadow formula...it's one of my favorites!. So when this first launched I was definitely planning to buy it. I knew in my head that it was full of pastel shades, but it didn't really click until I saw some swatches on Instagram. That's when I realized that I don't wear pastel eyeshadows and never really have. For me, it doesn't make sense to purchase a palette that I will likely never use, just to have it in my collection. This palette is actually filled with shades I know I would wear...it looks beautiful and as soon as I saw it I wanted to have it. But after some thought, I realized that Too Faced's eyeshadows have been hit or miss lately and this is a really large palette to store (and I likely won't travel with it). Still, I'm not completely ruling this one out...I just want to wait for some reviews first. I've been seeing swatches of these all over Instagram and while they look pretty, I'm just about over the whole highlighter trend, especially higher-priced ones. Right now I have so many highlighters I'll never get through them all...I don't even wear them all that often. 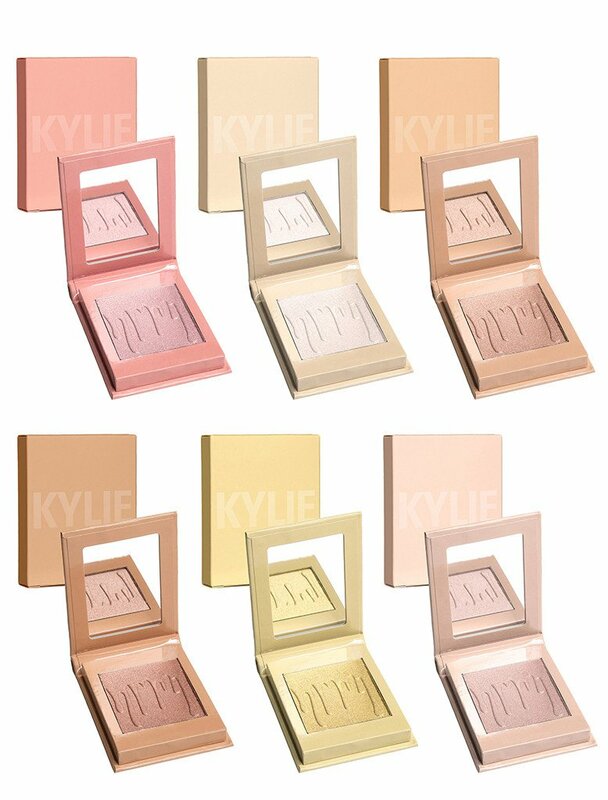 I've also been hearing reports on YouTube about these Kylighters coming in with all sorts of packaging issues, from missing highlighters, to dirty stickers on the box, to labels covering up a different name on the outer box. If new drugstore highlighters come out that look pretty, I'll probably still buy them, but I'm not sinking any more money into more expensive highlighters. I know that Anastasia Beverly Hills makes a mean highlighter but as I mentioned above, I just have way too many highlighters to be spending a lot of money on them. Here's another Too Faced product I won't be buying! From what I've heard, the eyeshadows in these little tins tend to be better than their larger palettes, but either way I'm passing on this because the warm-toned colors are too similar to palettes I already have....and I know I won't wear that yellow shade. I keep seeing this palette on Instagram and while it looks beautiful (and I'm sure the formula is great) I just can't ever see myself spending $169 on an eyeshadow palette...I just can't! Even if I were rich I probably wouldn't buy it. I'm not knocking anyone who has it...I know a few people who do. It's just something that I can't personally wrap my head around. 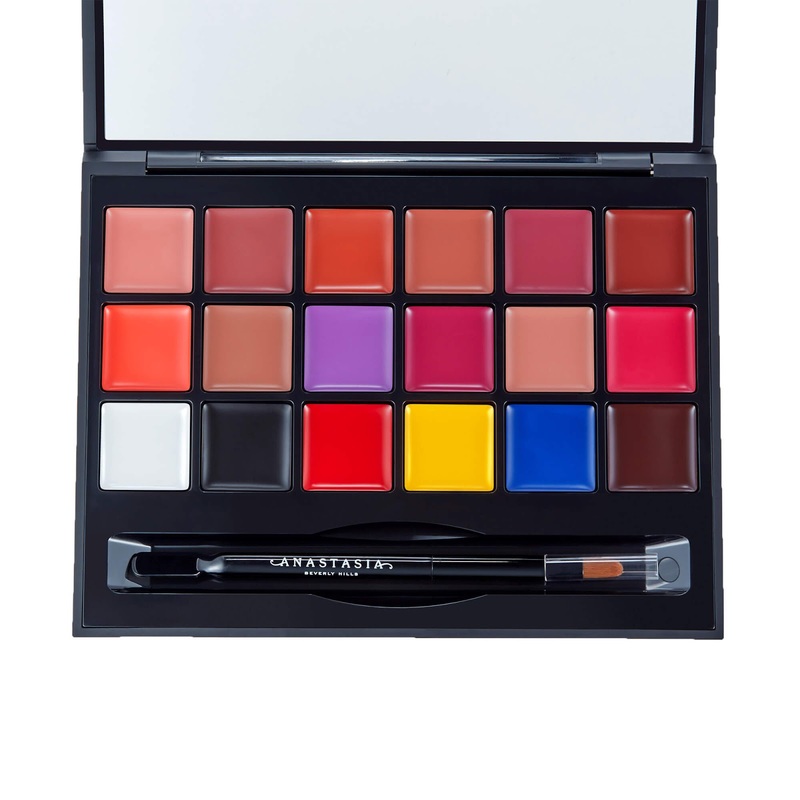 I love Anastasia Beverly Hills but I don't love lip palettes. I guess I just don't understand them...I mean, you apply a lip color at home and then you go out, but how do you touch up? Lipstick hardly ever lasts on me and I always need to bring my lipstick along in my bag when I go out. That's not easy to do with an entire lip palette! I feel like this might be a good thing for makeup artists to have but I personally like to have individual lipsticks that I can slip into my bag. 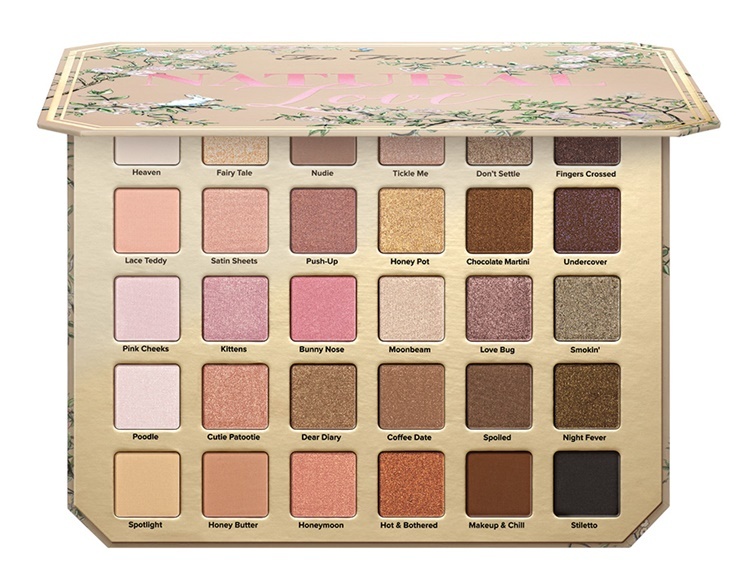 This one hurts a little, because I love Tarte and this palette looks stunning. I really want it, but the practical side of me is saying, "no, don't do it!". This is an entire palette of metallic/shimmery shades with one matte transition (and even that looks a little bit darker than a transition shade I would normally use). There are no matte highlight/browbone shades either so I would have to dip into another palette. I just don't see myself using this all that often...I would be buying it to basically sit in a drawer. I am going to get those unicorn brushes though! So there you have it...the products I'm not buying this month! What have you passed on lately? I'd love to hear about it! I totally agree with the Lorac brunch palette! I have all of their Pro palettes and 2/3 of the mega pro ones, but I just won't wear pastels. I did however have to have the lip palette. I like that I can create my own color that I don't already own or use it with one I do own to change it to be personalized. I also plan to get the Tarte one on Sephora Friday! 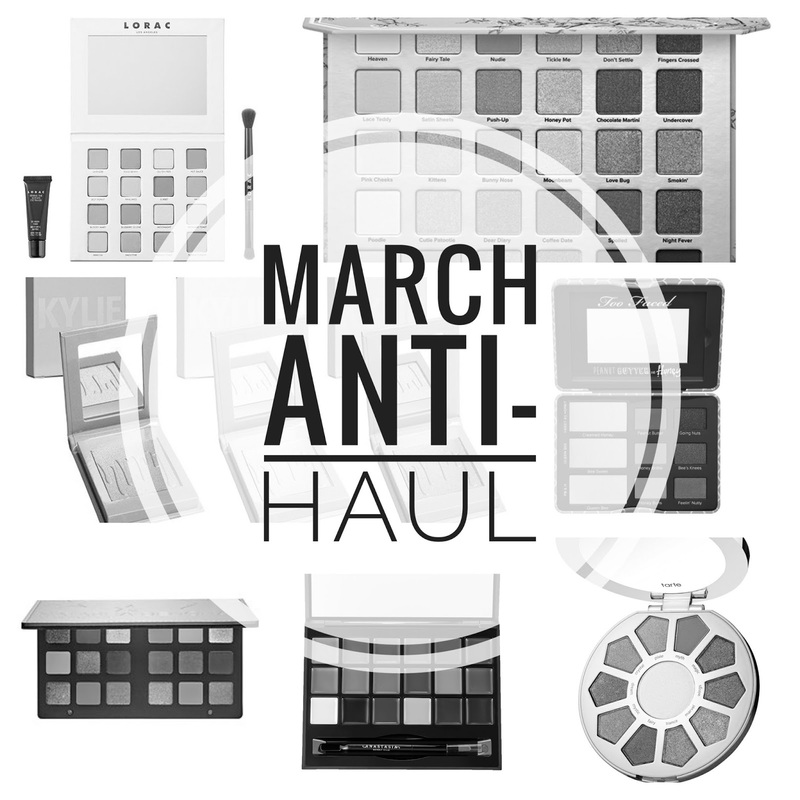 My anti-Haul would include the Lorac brunch and California dreaming, any of the new Too Faced collections, the Kylighters, the KVD pastel goth, Morphe liquid lipsticks, the Laura Mercier cream highlight palette, and the ABH with Nicole glow kit. I just don't need that many highlighters that won't compliment my skin tone. Good post! I bought the PB&H palette when it was offered as an early Platinum member perk, and returned it to the store as soon as I got it. Smelled awful, and the shadows were very chalky. I've seen the yellow on some bloggers and think it's a very unflattering color. My anti-haul agrees with many of your choices. The big TF Natural Love palette is too big, too expensive, plus I've seen swatches and it doesn't look that great. 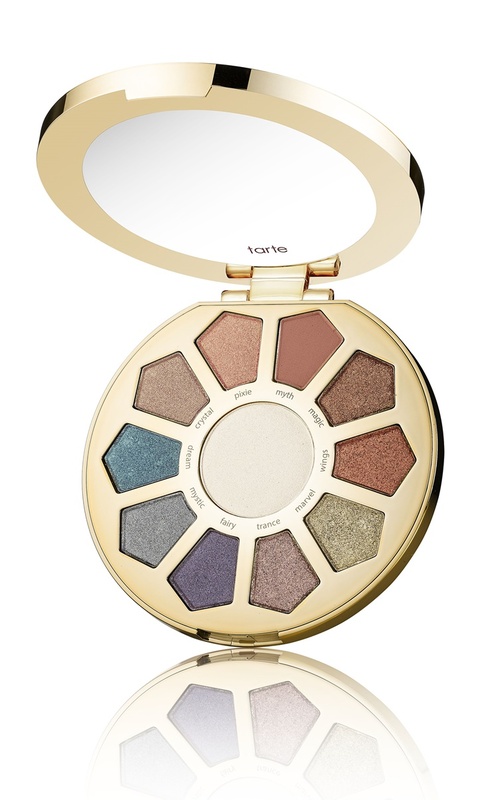 The Tarte one is very pretty but too shimmery for my older eyes. My local Ulta is going to start carrying BH Cosmetics and Models Own, and I want to see what they have in those lines (any recommendations?). Ah thanks for that Sue...now I feel even more validated that I didn't buy the PB Honey palette! :) I have never tried Models Own, but BH has so many good options! I love many of their eyeshadow palettes (especially the 28 color Modern Neutrals (all matte), Carli Bybel Palette, and the Blushed Neutrals palette. I'm not sure if they'll be carrying the whole line or just some of it? Thank you so much for doing this! It's important for people to realize you don't have to buy everything. There's such a high-school type of culture in the makeup community where if you don't have the product everyone else has, you feel like you're missing out or left behind. Makeup companies know this and are hyping things up so much to the point where girls are just like, "take my money!" It's not a good message. I completely agree Tatiana! 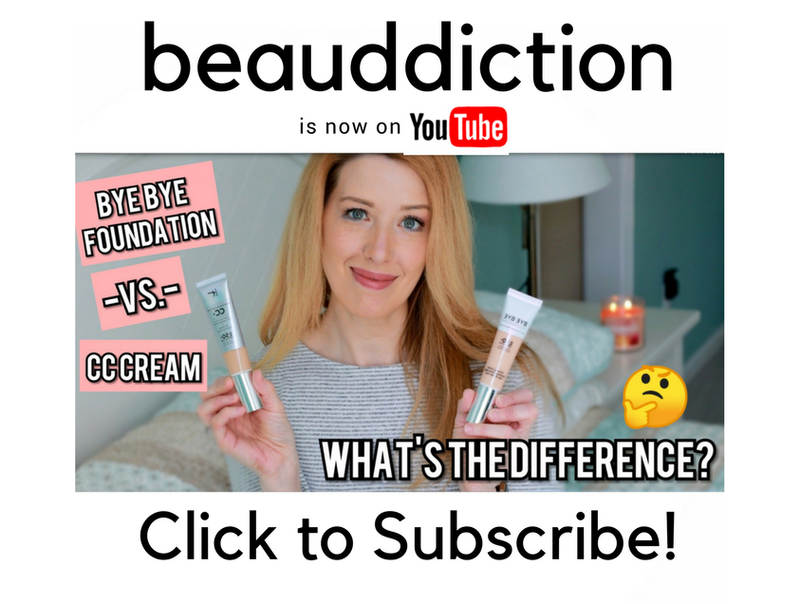 I think that seeing a respected beauty blogger come out publicly and say she's not buying certain things is a great example! Hopefully this will make others feel that maybe they really don't "need" certain products either, whether it's these specific ones or others. Hopefully it will inspire them to just think before blindly purchasing. I also want to bring up another pet peeve of mine with the makeup companies coming out with limited edition products. It creates a panic in the makeup community that they might not be able to get their hands on it. So they buy the product right away without waiting for reviews because by then it might be too late. Then the company ends up bringing it back later on anyway. SMH. Thank you both so much, I'm so glad you like this post! I'll make it a regular thing from now on. :) I completely agree with you on limited edition products and all the crazy hype all the time. I feel like it used to be more exciting to wait for new products to come out because it was only a couple of times a year, not a new palette every month! It's too hard to keep up. Amazing post! I agree with your reasoning for every single item. I am really sick of highlighter palettes and hope the brands stop making them and focus on something else. I was planning to purchase that Tarte palette when it comes out today but now I'm waffling. What you said makes a lot of sense and I really prefer matte eyeshadows these days. So many shimmers in one palette isn't all that practical so maybe I'll just get the brushes too. Thanks for saving me some money! You're very welcome! :) I was going back and forth on that Tarte palette for so long because I'm so happy to see them doing some more color. I just don't know why they decided to do all shimmery shades except for one! 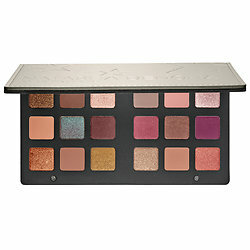 I just saw the Urban Decay new launch and I´m looking foward to see your coments. As for the rest... I have swatches that Lorac palette at Ulta a few times but something holds me back-I don't think I'd use it all, plus I DID get California Dreaming. I almost never use highlighter so those are an easy pass for me. I don't care for lip palettes either. The last big things I passed on were Sweet Peach and Modern Renaissance-not attracted to the colors AT ALL. I would add the Stila glitter & glow shadows. I went to ulta to buy them and all the sample ones were dried up! Yet half the bottle was still there! Also the applicator is too short to reach the bottom of the tube. I think no one has realized this flaw yet because they just came out and no one has used them enough to know. The colors and swatches are gorgeous but it's not worth it. Hi Jen! I agree with just about everything on your list except -- the eye shadow junkie in me caved -- I have purchased the TF Natural Love palette. I ordered it as soon as it became available (last Thursday) and TF still hasn't shipped it! 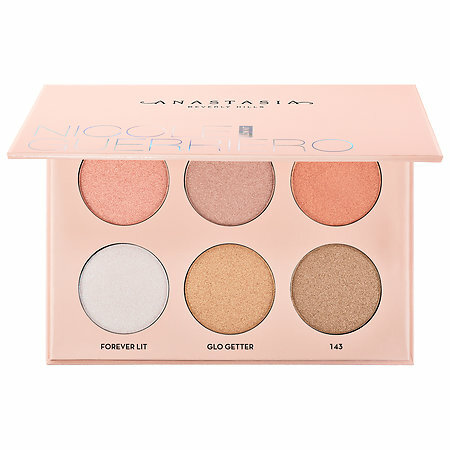 I hope I don't regret the purchase but I have passed on the Lorac pastel one (and I love Lorac Pro palettes), the TF PB&H, Natasha Denona (seriously? that is way too much cash for one item IMO), but now I'm waffling on the Tarte palette. -- Christina D.
You are so right and Sephora flash shipping is a fab perk (I'm VIB Rouge too), one of the reasons why Sephora is my favorite place to buy cosmetics. I just didn't want to wait until the TF palette became available at Sephora! -- Christina D.
I'm the same way...I'm very impatient when it comes to makeup, lol! Anti-hauls? Such a great idea! It makes sense though. I do the same thing. I want a lot of the new makeup products out but in reality I'll never use them all, I'll never wear all the colors. So trying to stick to buying things I know that I will actually use. I purchased the Anastasia Nicole Guerrero palette, but I haven't decided 100% whether to keep it yet. It is gorgeous, but I have definitely expanded my highlighter collection by quite a bit in the past year. I am interested in the new Tarte palette. It looks amazing, and I love the color selection, but I want to see a few reviews before I purchase it. I actually ended up getting the Natural Love palette (still waiting on it to ship) and the Natasha Denona palette. The ND palette is a dream but I waited for the 20% VIB Rouge sale to get it! Sometimes I like to do the makeup of friends or family, so I figured it will get used and loved. I agree with all of your points. I don't quite understand the highlight trend myself. I only own one highlighter and it's an NYX dose of dew stick that I feel is a lot easier to transport than a Palette. Right now I'm having a problem with the fact that I get suckered into cutesy packaging. I found the Gwen Stefani Palette at Nordstrom rack for $28. The colors just do not work on me, I'm too dark skinned for it. But I just love the case so much that I won't let myself sell it. Argh!